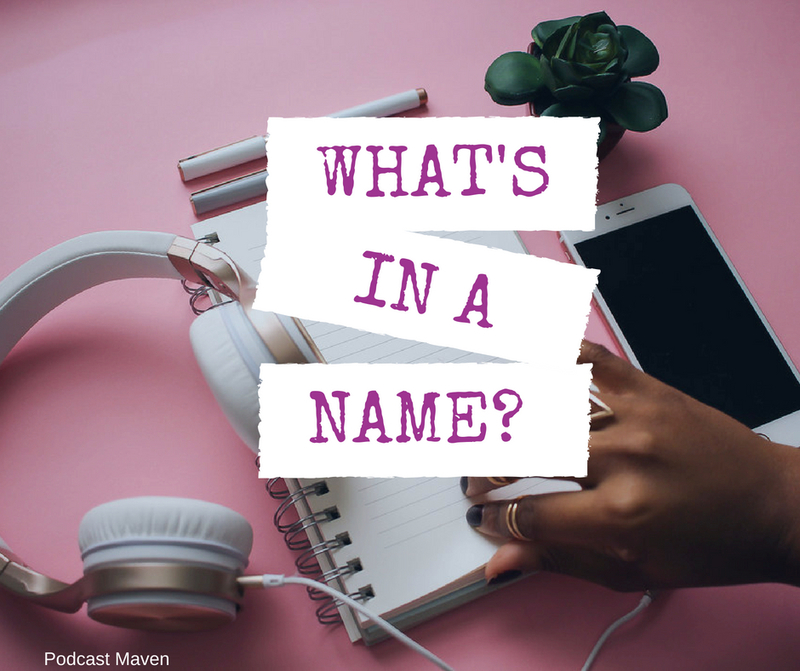 What should you think about when choosing a name for your podcast? 5 rules for naming your podcast What’s in a name? It can be hard to stand out and be clear. We all know that we need something a little memorable until people hear our fantastic content and start recommending us!!! 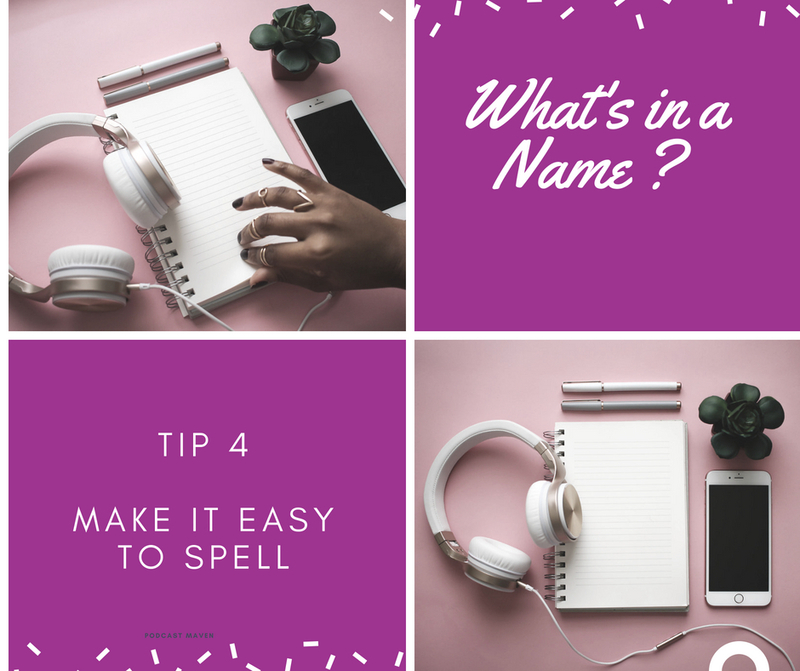 Here are 5 great tips on how to come up with a podcast name. Your title should be easy to remember. If your title is long and complicated, can you simplify it a little? Have you ever been out walking and searched for a show and you know it really well but all you get is ” No result“? Easier to remember – easier to find – easier to share. Is it Easy to Work Out What Your Show is About? 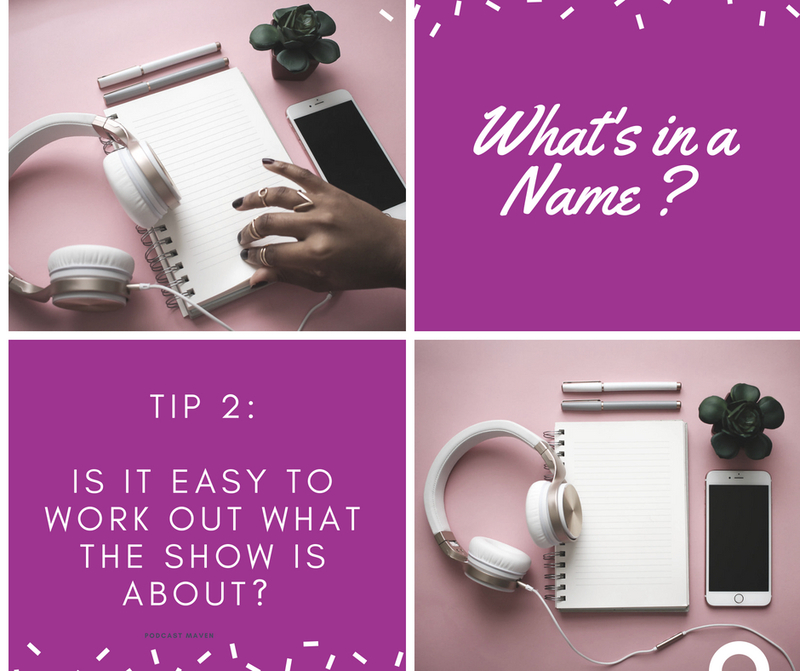 Tip 2: Is it easy to work out what the show is about? Can anyone work out what the show is about from the title? Have you chosen something a little obscure or quirky? If people in your field will search for that term then that’s great; but if it’s an in-joke that you explain in your podcast. You are making things difficult for yourself. Be fun, be creative but also be clear. Question? What’s in it for me? If I’m glancing at a screen of titles, will I quickly be able to work out if I should choose yours? Does your title explain what your show is about? Finally a Rule of Thumb. Your podcast title should be 5 words or fewer.